That was the most time consuming strip of mine ever! 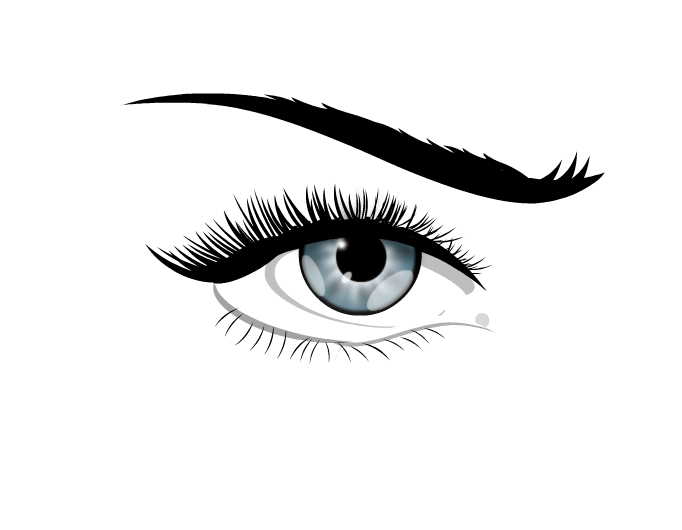 - Making eyelashes from this sketching shape is time consuming and annoying like hell. And there is a selection bug on small shapes. - I've used the flame object on eyebrow and I used one of the curly object. I just masked its edge with a white circle. I used it at the bottom of the eye too making the line of the eye. This is a very cool and underused shape. - making pupils is easy. I added 1 blur on it. It is also masking the centre of the white stars and made the eye more natural. - adding reflection is easy. White shapes with a bit blur and different opacity. Only one reflection is enough though, but without any reflection it becomes plain and unnatural. Also there is an other tip for eyes. Do not add reflection on it first, because when you duplicate and mirroring it the reflection will be mirrored too and that made the whole thing silly. This is the most common error on Stripgenerator. Made the eye, group it (If You use masking there will be some problem here...), duplicate it, mirroring it, then add reflection on both eyes last. awesome! thx for the reply!